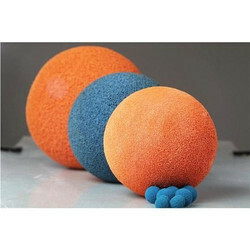 We provide cleaning balls for concrete pump. If you have any enquiry for the same please feel free to call us. We are importing concrete pump sponge cleaning balls from turkey.We import sponge cleaning balls from DN 25 to DN 175 sizes. Leveraging on the vast experience of the industry, we are engaged in manufacturing and supplying Concrete Pipe Cleaning Ball. Extensively used to clean concrete pumps, these balls are manufactured by using high quality material and following established guidelines of the industry. As an authentic name of this domain, we hold expertise in providing a high-quality array of Concrete Pump Pipe Cleaning Ball. 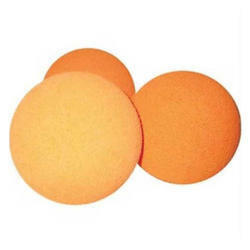 Due to rich industry skill and experience, we have been accomplished to provide our valued customers the best quality range of Concrete Pump Sponge Ball. Expert Engineers India Pvt. Ltd.
With years of practice of this realm, we are proficient to provide the top series of Concrete Pump Cleaning Ball. Moreover, we offer this at nominal prices. With sincerity and hard work of our professionals, we have carved a niche for ourselves in this domain by providing premium quality gamut of Concrete Pump Cleaning Ball.